I started playing the cello when I was already in my forties. And every time before an exam or concert I am just shaking with nerves. This is ludicrous I tell myself then. I am only doing this because I have always loved music and wanted to try and play another musical instrument to widen my own musical horizons and challenge myself, push myself that I don’t become lazy and scared of challenges. There is no competition with anyone else playing the cello. Rather the opposite because I am more than double the age of most of the other students who study at the Music School. They are mostly in school still. So then my pep talk starts again….I am seriously doing this for fun as well. But to push myself to practise and to get better, because ultimately it is about playing better and getting a better sound from the cello, I do these exams and performances where possible. And I am not talking about Carnegie Hall-performances (well if they came up I might consider), I am talking about playing at different Church Christmas Services (so with many other people playing at the same time, not talking about everyone singing! ), school concerts and at these pre-exam-get-togethers just to play in front of the other students….those kind of thing! The exams are stressful, that is true. But I suppose your steel has to come out some way, you can’t only do things which you are not scared of where there is no fear, which is within your own boundaries…you have to push yourself I always tell myself…. because otherwise you’ll die being a wimp, die wondering why did I never try. And that is one thing I never want to be – somebody who never tried. At least on my grave stone they can write – she tried her hand on the cello, she wasn’t the best, but hey she had fun and could pull a few party songs out of the bag! But to practise for this dreaded exam I am almost a cello-zombie. I drink, eat and sleep cello. And in my mind that is ridiculous! Seriously. It feels if all my grey matter has been transferred to the cello, I cannot think about doing any other creative thing. And to be creative is something I need to survive. It relaxes and focuses me, so I need urgent creative therapy…. But tomorrow is D-day, so maybe after the exam my other creative sides can come alive again. The ultimate in orchestral music – Beethoven’s Symphony No 9. I listened to this last night again. It was played by the West-Eastern Divan Orchestra and conducted by well-known Argentine-Israeli conductor Daniel Barenboim. Beethoven was a genius. He was almost completely deaf when composing this, which is extraordinary if you think about it. He couldn’t hear his final masterpiece played on stage, he could only have heard the melodies in his head. The incredible moments of extreme stillness moving into climax, from dark moving into light, from minor moving into major. Even the beginning of this symphony is according to those with knowledge utterly different from all the other eight symphonies Beethoven composed. And I quote: “Never before had a symphony begun with pure atmosphere and suspense, in which the composer obscures and then teases with all three basic elements of music – tonality, rhythm and melody – which he deliberately leaves receptive to all possibility. An open fifth, the most ancient and mysterious interval of music”. There are many stories surrounding this composer when the Ninth was premiered in 1824. Apparently Beethoven shared the stage with the theatre’s official conductor, Michael Umlauf. Umlauf had instructed the orchestra members and singers to ignore Beethoven, seeing that he had made a mess of conducting the dress rehearsal of his opera Fidelio because of his deafness. So when the audience applauded, Beethoven was still conducting and couldn’t hear. One of the soloist walked over and turned Beethoven around to accept the audience applause. They applauded him through standing ovations no less than five times, raised hats and handkerchiefs in the air. This way Beethoven, who could hear no applause, could at least see their praise and appreciation. Apparently many famous composers, like Haydn and Shostakovich, have also composed ninth symphonies, but there is only one simply known as The Ninth Symphony. And then Beethoven’s adding the chorus in the final movement with Schiller’s Ode to Joy. It is not for nothing also known as the Choral Symphony. The Ninth has been performed during momentous occasions in the past, including with the fall of the Berlin Wall, to celebrate the country’s reunification, and nowadays it is also known as the anthem of the European Union. But that is not the end. The West-Eastern Divan Orchestra who performed this, also has a momentous story. On their website it explains that in 1999 Daniel Barenboim and the late Palestinian literary scholar, Edward Said, – by invitation of the Kunstfest Weimar – created a workshop for young musicians from Israel, Palestine and various Arab countries of the Middle East. This was to enable intercultural dialogue and to promote the experience of working together on something they all had an interest in – making music together! They named the orchestra after Johann Wolfgang von Goethe’s collection of poems entitled ‘West-Eastern Divan’, a central work for the evolution of the concept of world culture. The Orchestra is now based in Seville, Spain, after the first orchestra workshop was held in Weimar, Germany, in 1999 when they received over 200 applications from Arab music students. Both Said and Barenboim’s CV’s are beyond impressive. They have also received the Príncipe de Asturias Prize for their peace efforts in the Spanish town of Oviedo in 2002. Over the years the orchestra has performed around the world, including Israel and the Palestinian territories. It has an annual summer school in Seville and young musicians from Spain now also take part in the orchestra. One can only hope that through music they will each realise the people from the ‘other side’ are also just humans enjoying the wonderful act of playing music, of making music together, of expressing the inexpressible. On the way to music lessons…. Every Tuesday I drive my son (and myself) to music lessons. Some part en route takes us through a less affluent area. It is just this long road with mostly terraced houses on both sides. I suppose some of them are also council houses. I have to firmly keep my eyes on the road because it is so easy to let them drift. Some of the houses are boarded up, some are burnt out, no glass in the windows anymore, rubbish all around the house, long grass – not a pretty sight, really sad and dilapidated. Some are skeletons of what they used to be… because in sharp contrast you see beautifully and lovingly looked after houses, painted in pretty colours with pretty flowers in the front and the lawn short and green. The people are just as extraordinary interesting. Young girls, I mean mothers, in pj-bottoms pushing buggies, other dressed up to the nines with loads of fake tan but less clothes and always high heels – wandering the pavements. Every now and then you’ll see some ponies and many dogs…. Within a few months I will really have to focus on the road because then some of the houses on that street will have there Christmas decorations up. And they are famous (read OTT!) for these decorations. They make the newspaper! Definitely not a few shy coloured lights here and there. No no, no they go all the way. Statues of big fat plastic father Christmases, reindeers, snowmen, any decoration slightly resembling Christmas will find a place in the small gardens alight – coloured, white, sparkling, you name it! But then this makes our trip to the music lessons so much more interesting, so I wouldn’t want to miss it! On top of it, it fires (no pun intended) my son’s creative mind! If music is the food of love, sing on….. I love singing!! So do most people, I’m sure. I have always been part of choirs or informal singing groups, (and I don’t mean karaoke). There is something about singing that moves the soul. Or maybe it is something about music, making music, listening to music, that moves the soul. Recently I joined a choir again. Ancór. Ancór is the Irish word for choir. It is a small musical ensemble with between four to seven in each voice group these voices groups become smaller and smaller as the music divides in more harmonies! It is a musical ensemble where voices (oppose to instruments) harmonise – beautiful! Most choirs consist of four voice groups, but there is no limit to the number of possible parts as long as there is a singer available to sing that part. A composer, Thomas Tallis, apparently wrote a unique motet (Spem in alium) for EIGHT choirs of FIVE parts each!!! Imagine that – must sound out of this world! Well he had a pupil, William Byrd, and one of the pieces we are soon performing is a mass by this pupil – William Byrd. He was an English composer of the Renaissance (1540) and is apparently one of the great masters of the European renaissance. The mass is very tricky, but not to the scale of what Tallis composed! It is sung a cappella (as most masses, I think), so you really have to listen very carefully to those around you to harmonise. Absolutely love the challenge of that! A more popular song we will also be performing is Hymn to the Fallen. This was the original soundtrack for the movie Saving Private Ryan (1998), composed by John Williams and a tribute to the American soldiers who paid the ultimate price. It is an extremely atmospheric and moving piece! Lots of strings and percussion as well. When my two daughters were both taking music classes at a Music School here, I always had to wait in the car for an hour or so. So I would rush to do some necessary shopping, or sit and read in the car, or just waste time. One day I just had enough with the waiting around and decide to ask if they also teach adults – any kind of instrument…. (should have done that a bit sooner). Yes we have many adult learners, was the enthusiastic answer. I think it is because adults do their homework. They know they don’t have the rest of their lives to learn an instrument or music theory. And they want to do it! Most importantly they do it for themselves. There is no rivalry…. Somehow I decided on the cello. Until today I am not sure why. I just heard different pieces played – yea ok by Yo Yo Ma, by Jacqueline de Pree, by…. but still. The sound. The sound. So I asked about cello lessons. No problem there was a time slot available in the exact time when my daughters were busy with their lessons. Wow this was falling in my lap. Slight problem though. I have no cello. And they are expensive. No problem. They can provide me with a cello because the School has a few cellos. And until I really want to carry on playing – in other words if I can figure how to play it – then I can use that cello. Well this was meant to be…. So I started. And I fell head over heels in love with my cello, with the music, with the sound. Not really the sound that I was making on the cello, but the sound in my head of what it should sound like!! And maybe the sound which I might make on the cello one day. – The word cello derives from violoncello. – It is the second largest instrument in the violin family. – The cello has been described as sounding the closest to the human voice. 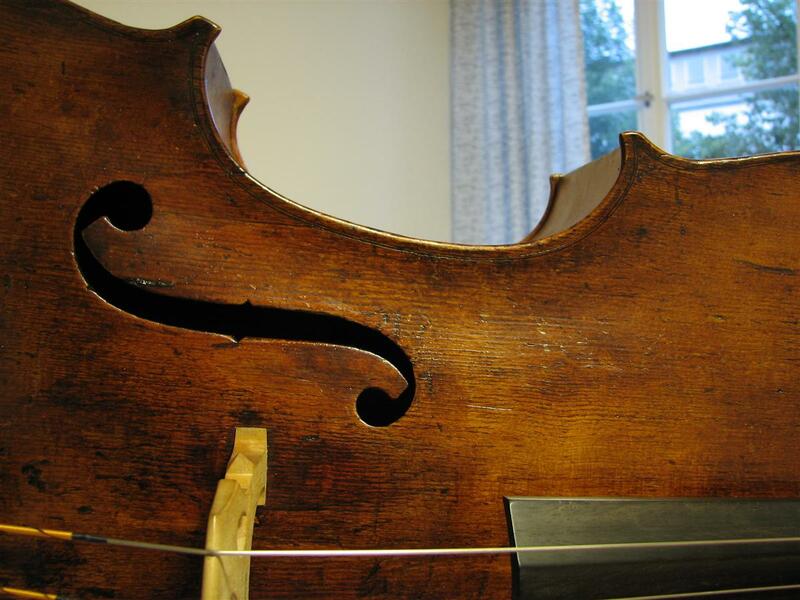 – The cello evolved from the bass violin and by 1700 the cello phased out the bass violin in Italy. – Cellos are usually made from wood such as spruce or poplar willow and are hand carved. – The front and back of cellos have a carved out design called a purfling which helps prevent cracks in the body of the cello. – You play the cello sitting down – lazy…. – Cello music is written in the bass clef. – It is an octave lower than a viola and an octave and a fifth lower than a violin. After playing for about two years hubby gave me a cello for my birthday! What can I say? He believes in me! The best thing is, the more you play, the better the sound. I also joined the school’s Cello-orchestra – Cellissimo – and we play wonderful music; classical, contemporary, funky… everything! And I am still playing.